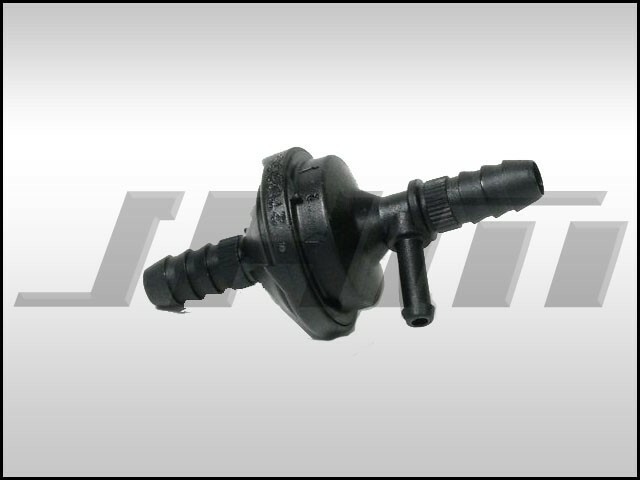 This is an OEM Updated Check Valve for the vacuum system of all 1.8T engines. This valve comes right from Audi and is the same one that was in your car when it was brand new. This valve often cracks easily due to heat in the engine bay and age. If this valve cracks, it can cause boost issues and possibly lean codes. The OEM Part Number is 07C 133 529 A or 07C133529A.